Née à Tunis (Tunisie) en novembre 1979. 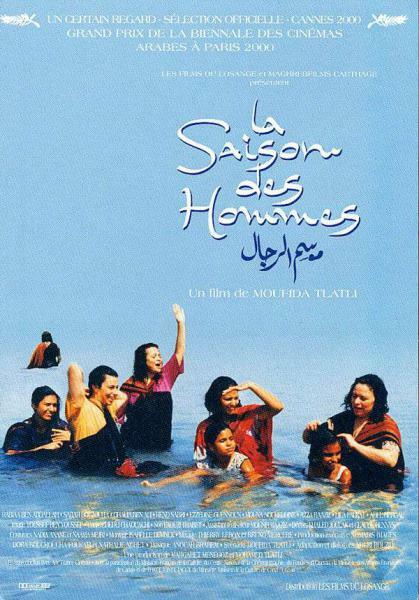 Hend Sabry fit ses premiers pas d’actrice à 14 ans avec LES SILENCES DU PALAIS (Moufida TATLI) en 1994. 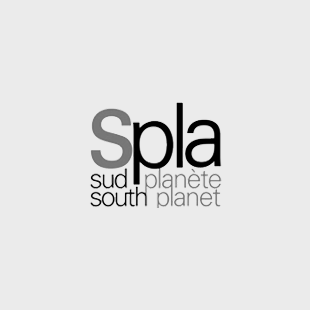 Elle a par la suite joué dans plusieurs longs et courts métrages tunisiens. Depuis, Hend Sabry, installée en Egypte, enchaîne tour à tour des films d’auteur et des films plus commerciaux. Hend Sabry s’est fait un nom dans le jeune cinéma égyptien grâce au succès du JOURNAL D’UNE ADOLESCENTE de Inas Al Daghidi. Elle poursuit parallèlement sa carrière d’actrice en Tunisie. Résidant en Egypte, elle décide d’interpréter des rôles d’Egyptiennes traditionnels : aussitôt adoptée par le public et ses pairs, elle ne cesse d’enchaîner les rôles. Elle est aujourd’hui considérée comme l’une des comédiennes arabes les plus douées de sa génération. Elle a reçu une quinzaine de prix d’interprétation depuis le début de sa carrière dont celui du Festival de Carthage en 1995, Valence en 1995, Johanesburg en 1995, Rabat en 2004..
En 2005, l’Union des Journalistes Egyptiens et le Festival du Film du Centre Catholique Egyptien la nomment meilleure actrice de l’année pour LES MEILLEURS MOMENTS. Elle est titulaire d’un Master en Droit (Propriété intellectuelle et Copyright) en 2004. Hend Sabry est fille unique. * Born in Tunis (Tunisia) on november 1979. 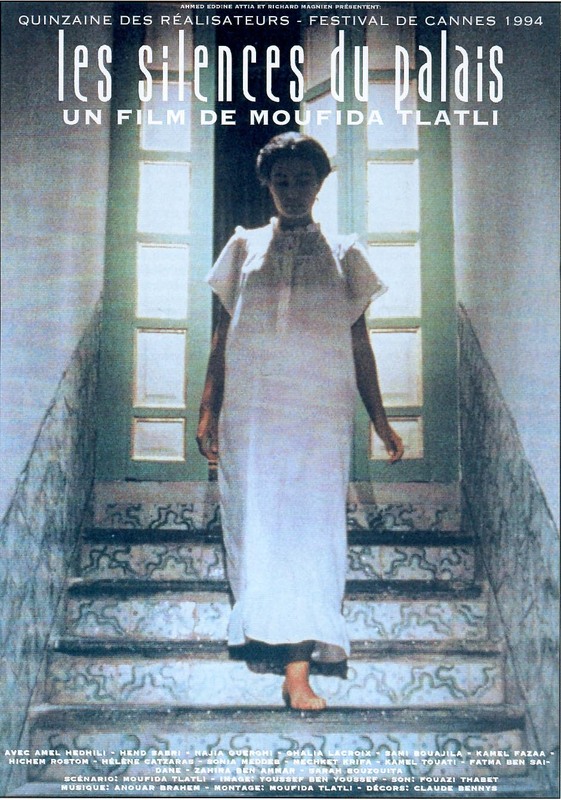 Hend Sabry had her acting debut at the age of fourteen in the Tunisian production Silence of the Palaces (Samt al Qosoor) by Director Moufida Tlatli in 1994, the movie that was listed after 19 years from its release in Dubai International Film Festival‘s 100 Most Important Arab Films list. Following this, Hend starred in several Tunisian productions until she drew the attention of Director Inas Al Degheidy who introduced her to the Egyptian cinema through A Teenager‘s Diary (Muzakirat Murahiqua) in 2002. Her role in the film gave her immediate stardom across the Arab world and in a short span of time she became one of the most prominent Tunisian actresses in Egypt and the Arab world. Hend played remarkable roles in a number of Egyptian films, most significant of which are: A Citizen, a Detective, and a Thief (Mowaten we Mokhber we Haramy) 2002, Downtown Girls (Banat West El Balad) 2005 and Ibrahim El Abyad (2009). In 2006, she participated in The Yacoubian Building (Oumaret Yacoubian) co-starring with an extensive number of Egypt’s major super stars. 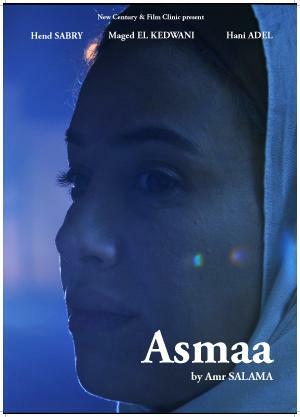 In 2011, she starred in Asmaa, a film about an HIV positive woman who suffers from her society because of her affliction. For her astounding embodiment of the character, Hend won several Best Actress awards in 2012 at several film events including Evolution International Film Festival in Hollywood, National Egyptian Film Festival, and Catholic Center Film Festival in Egypt. She also received a number of awards honoring her achievements such as Best Actress award for her role in The Aquarium (Guinenet El Asmak) at the Rotterdam Arab Film Festival in Netherlands in 2008, and Best Actress award at National Festival for Egyptian Cinema for her role in The Island (El Gezira) 2008. Sabry is also a recipient of Best Actress Award at Arab Media Festival in 2010 for her role in the TV comedy hit Ayiza Atgawez (I Want to Get Married), which tackles the problem of spinsterhood in the society, in a comedic atmosphere. Sabry‘s latest TV drama hits-Embratoryat Meen? 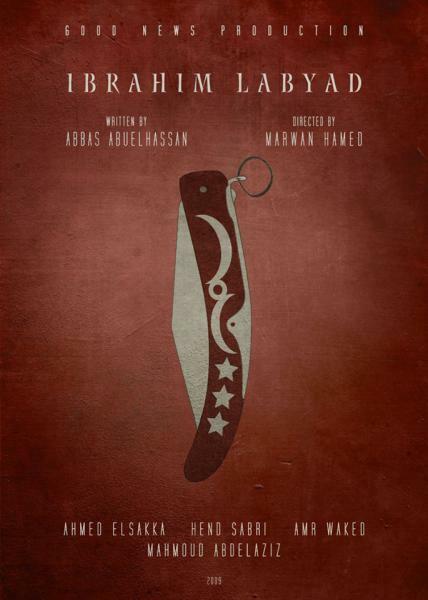 – was well-received during its premiere in Ramadan 2014. The social comedy traces the social and moral changes within the Egyptian community after the January 25 Revolution in 2011. Moreover, the young Tunisian actress retrieved her role as a strong woman from Upper Egypt, Karima, in the sequel of the successful cinema hit Al Gezeera 1 in 2007. For her role in Al Gezeera 2, Sabry was named the Best Actress in the Middle East at Dear Guest Festival (DG Festival) in 2014. This award is the second in Sabry‘s career as the Tunisian actress has previously received the same award in 2012 for her remarkable performance in Asmaa. In October, 2012, Sabry took part in the 2nd TROPFEST Arabia, the world’s largest short film festival, as the festival co-director. Similarly in November, 2012 the renowned actress headed the Feature Narrative Jury at the Doha Tribeca Film Festival. Tunisian actress Hend Sabry is active in social and humanitarian work; since 2009, she has been working closely with the UN World Food Programme on raising awareness about hunger in the region. In 2010, Sabry had officially become a WFP Regional Ambassador against Hunger. Honoring her humanitarian efforts in eradicating poverty and her achievements as one of the most prominent actresses in the Arab film industry, Tunisian actress Hend Sabry was included in the CEO Middle East magazine‘s List of the World’s Top 100 Most Powerful Arab Women in 2013. The list included a number of prominent Arab women who have many regional and international achievements in different fields such as politics, culture and social development. Hend is also one of the most prominent four women who have contributed in the Facebook campaign inspired by the Arab spring titled « The Uprising of Women in the Arab World » which promotes gender equality in accordance with the UN‘s Universal Declaration of Human Rights and calls to grant freedom, independence and security for Arab women. The currently Cairo-based actress has obtained a license in Law at the Faculty of Law of Tunis in 2001. Later in 2004, she completed her masters in Law Intellectual Property and Copyright. – Studied in Lycée français de Tunis, then got a law license at the faculty of law of Tunis (2001). * Got the masters in law (intellectual property and copyright) 2004. * No brothers or sisters. * Started my first movie (The silences of the palace) at the age of 14. * My best dish is surely Molokheya. * I love traveling a lot and my favorite hobby is reading. I also love playing Squash. انطلقت هند صبري سينمائياً لأول مرة عندما كانت في الرابعة عشر من عمرها في الفيلم التونسي صمت القصور للمخرجة مفيدة التلاتلي عام 1994 والذي تم اختياره بعد 19 عاماً ضمن قائمة مهرجان دبي السينمائي لأهم 100 فيلم عربي. ثم توالت أدوارها في عدد من الأفلام التونسية إلى أن جذبت هند انتباه المخرجة المصرية إيناس الدغيدي والتي اختارتها لتلعب دور البطولة في فيلم مذكرات مراهقة في عام 2002. منحها دورها شهرة واسعة في أنحاء الوطن العربي وفي خلال فترة قصيرة أصبحت هند صبري واحدة من أبرز الممثلات التونسيات في مصر والوطن العربي. قدمت هند أدواراً مميزة في العديد من الأفلام المصرية أبرزها مواطن ومخبر وحرامي (2002) وبنات وسط البلد (2005)، إبراهيم الأبيض (2009)، وشاركت في بطولة الفيلم الشهير عمارة يعقوبيان مع عدد من أبرز نجوم السينما المصرية في عام 2006. 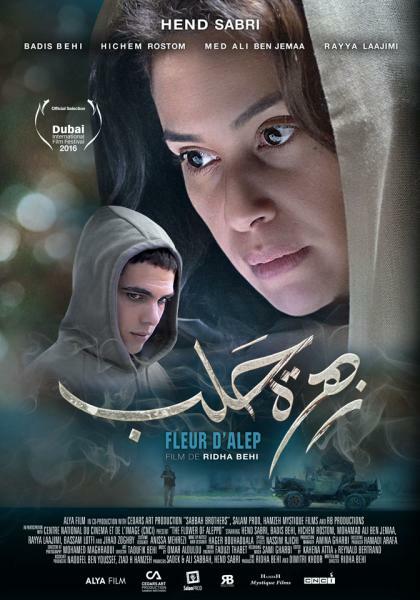 وفي عام 2011، أدت هند دور البطولة في فيلم أسماء الذي جلب لها 3 جوائز سينمائية عن تجسيدها لشخصية امرأة مصابة بالإيدز تعاني من قسوة المجتمع بسبب مرضها، حيث حصلت في 2012 على جوائز أفضل ممثلة من مهرجان أفلام السلام بهوليوود، مهرجان جمعية الفيلم السينمائي المصرية، ومهرجان المركز السينمائي الكاثوليكي في مصر. كما تلقت هند العديد من الجوائز تكريماً لإنجازاتها الفنية مثل جائزة أفضل ممثلة عن دورها في فيلم جنينة الأسماك من مهرجان روتردام للأفلام العربية في هولندا عام 2008، جائزة أفضل ممثلة عن دورها في فيلم الجزيرة من المهرجان القومي للسينما المصرية عام 2008، جائزة أفضل ممثلة من مهرجان الإعلام العربي لعام 2010 عن بطولتها لمسلسل عايزة أتجوز الذي ناقش مشكلات العنوسة لدى الفتيات بشكل كوميدي. أحدث أعمال هند صبري هو مسلسل إمبراطورية مين؟ الذي تم عرضه في موسم رمضان 2014، ويناقش المسلسل التغيرات الاجتماعية والأخلاقية التي حدثت بالمجتمع المصري بعد ثورة يناير – كانون الثاني 2011، كما عادت هند لتقديم دور الشابة الصعيدية كريمة في فيلم الجزيرة 2، وهذا بعد نجاح الجزء الأول من الفيلم في 2007، وهو الدور الذي جلب لها جائزة أفضل ممثلة سينمائية في الشرق الأوسط ضمن جوائز مهرجان Dear Guest للمرة الثانية في مسيرتها، حيث نالت نفس الجائزة سابقاً عن دورها في فيلم أسماء. وفي 2012 شاركت هند صبري في الدورة الثانية لـمهرجان تروبفيست أرابيا، أضخم المهرجانات العالمية للأفلام القصيرة، بوصفها المدير المشارك بالمهرجان. وفي العام نفسه تولت هند رئاسة لجنة تحكيم مسابقة الأفلام الروائية الطويلة بـمهرجان الدوحة ترايبكا السينمائي الدولي. وتشارك هند صبري في العديد من الأنشطة الاجتماعية والإنسانية، فمنذ عام 2009 تتعاون مع برنامج الغذاء العالمي التابع للأمم المتحدة لرفع الوعي حول مشكلات الجوع في المنطقة العربية، وفي عام 2010 أختيرت رسمياً سفيرة لمكافحة الجوع في برنامج الغذاء العالمي التابع للأمم المتحدة. وتتويجاً لجهود هند صبري الإنسانية وإنجازاتها الفنية، اختارتها مجلة CEO Middle East ضمن قائمة أقوى 100 امرأة عربية لعام 2013، حيث ضمت القائمة نخبة من النساء العربيات صاحبات بصمات مؤثرة في الثقافة والسياسة وتنمية المجتمع. كذلك تُعد هند واحدة من أبرز 4 نساء قمن بالإسهام في الترويج لحملة انتفاضة المرأة في العالم العربي على صفحات فيسبوك، وهي حركة مستوحاة من ثورات الربيع العربي وتطالب بحق المساواة بين الجنسين طبقاً للإعلان العالمي لحقوق الإنسان الصادر من الأمم المتحدة، كما تنادي بضمان الحرية والاستقلال والأمان للنساء العربيات. Festival de Cannes 2008 : le Pavillon "Les Cinémas du Sud"